Need instant translation right in context menu? 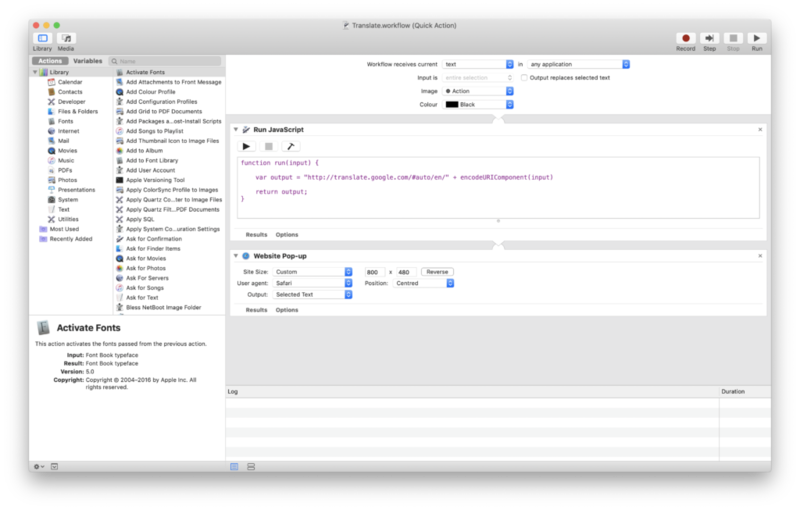 You can accomplish it for free with one line of code in Automator, or you can proceed to the free download. Next under Library -> Internet select or drag Website Popup. You can adjust size of the window to fit your needs. And that’s it. Below is picture of what you should have. 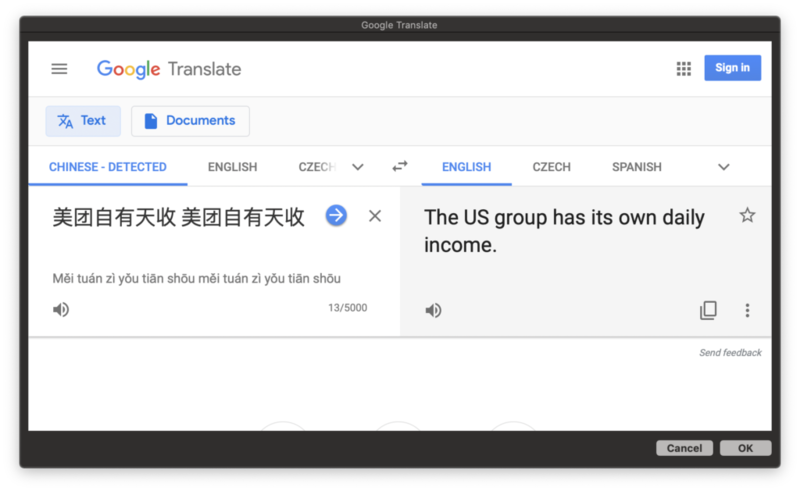 The following languages are supported and automatically detected in Google Translate. I simply needed to appreciate you once again. I do not know what I would have made to happen without the ideas discussed by you regarding that question. Previously it was an absolute fearsome issue in my circumstances, but considering your professional avenue you treated it took me to weep for delight. I am grateful for the assistance and as well , have high hopes you comprehend what a powerful job you have been doing instructing some other people thru your web blog. Most probably you haven’t met all of us. I actually wanted to type a small remark to be able to thank you for all of the nice suggestions you are posting at this site. My extensive internet lookup has at the end been recognized with wonderful knowledge to share with my co-workers. I ‘d express that many of us readers actually are unquestionably endowed to exist in a useful place with very many outstanding professionals with beneficial suggestions. I feel very much privileged to have come across the web page and look forward to really more awesome times reading here. Thank you once more for all the details. I simply desired to thank you very much once again. I am not sure the things I would’ve accomplished in the absence of those tips shared by you concerning my area of interest. It previously was a horrifying concern for me, however , coming across the very professional form you handled it took me to jump with contentment. Extremely grateful for the help and as well , pray you know what a great job that you are doing teaching the rest with the aid of a web site. Most likely you have never met any of us.